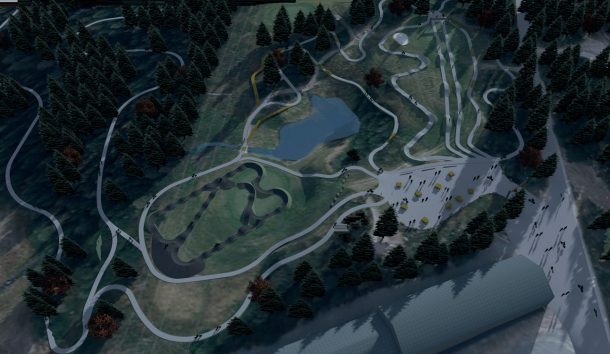 And what could that be? 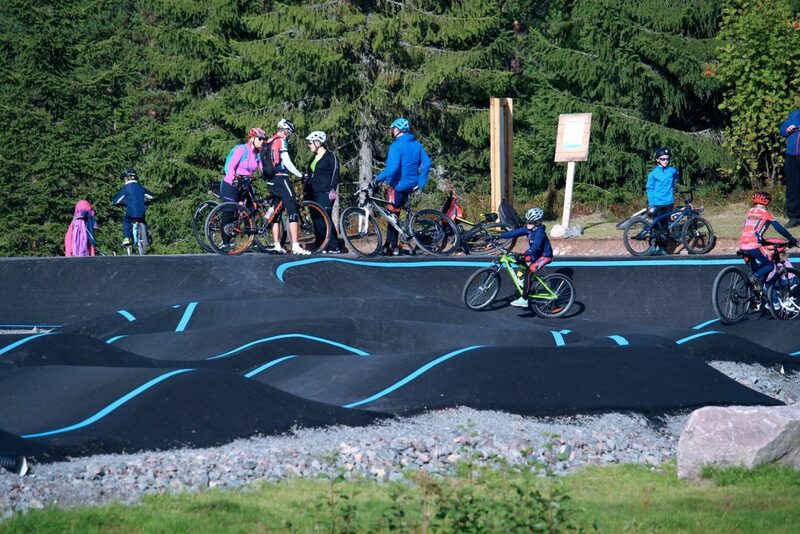 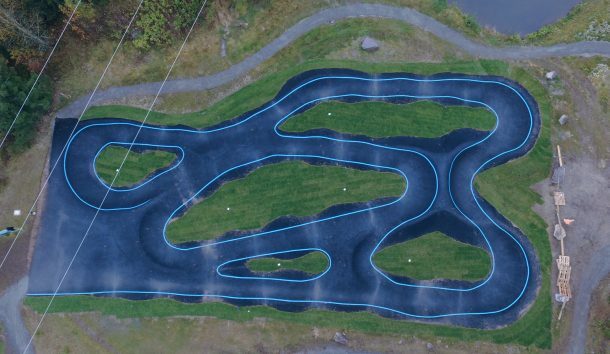 A pumptrack on a golf course in Norway. 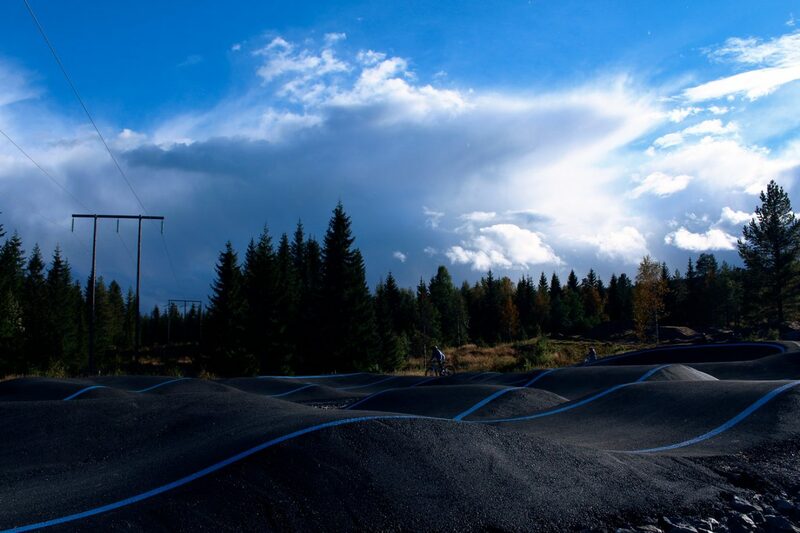 This photo was taken on the Trysil Bike Arena in Norway, one evening in October. 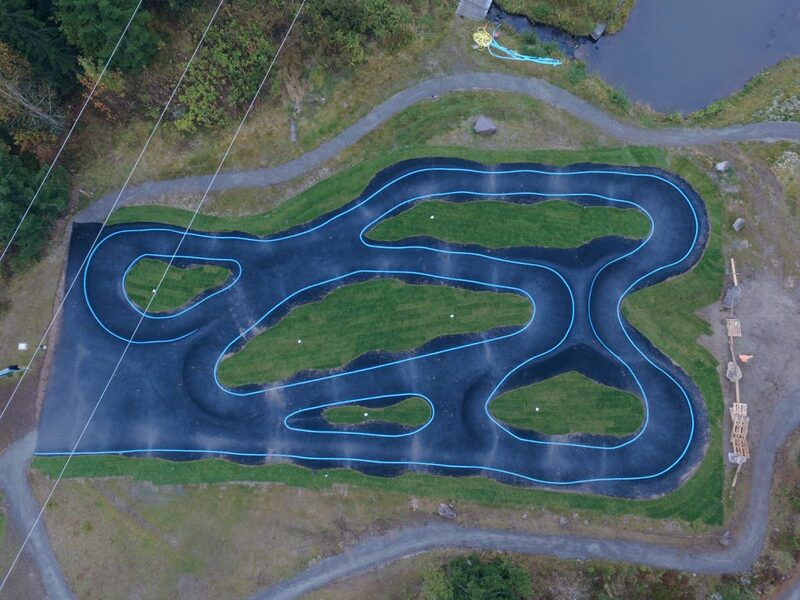 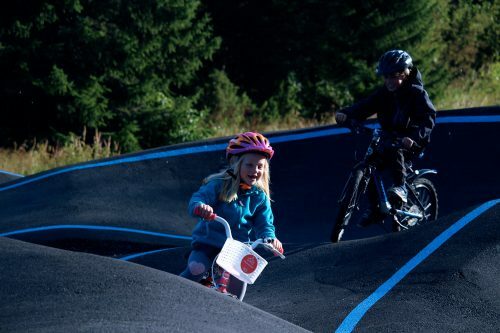 This asphalt pumptrack was built within a vast Bike Park set up over three holes of a golf course. Located at the entrance of cross country trails of the now famous Gullia area, the pumptrack is one of the most appreciated facilities among all visitors and especially children. 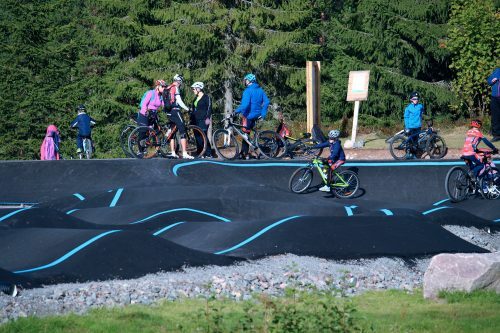 Constructed from asphalt, adorned with elegant lines of paint and rolled grass – very popular in Norway – this project is a special place of relaxation and fun, at the edge of a small lake. 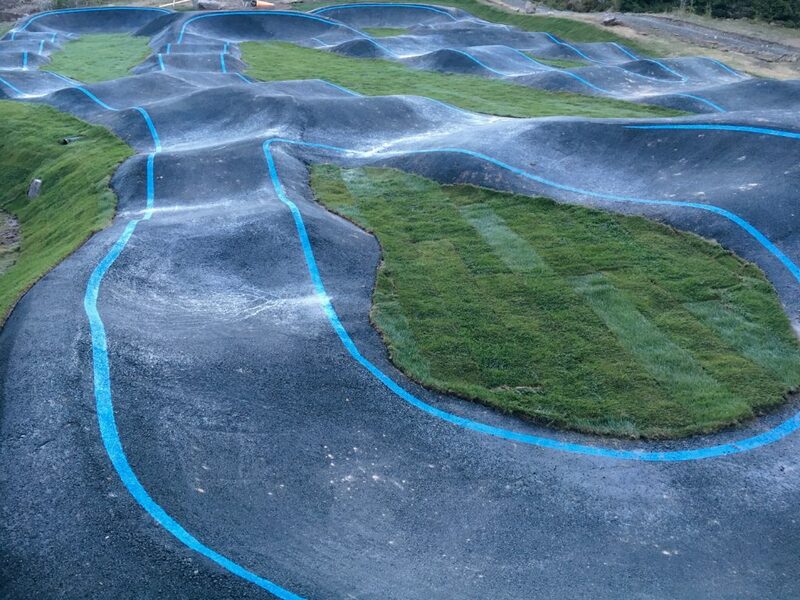 The pumptrack completes an area for learning, cross-country trails, a jump park, enduro trails and a flowtrail. 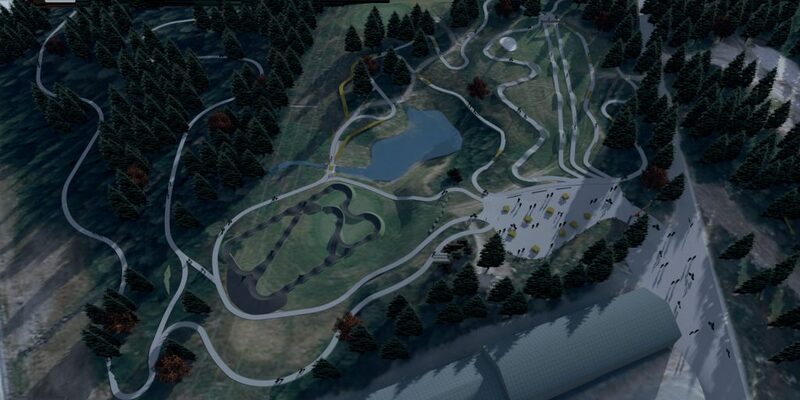 The project in several stages: plans, the untouched terrain, the works, then a birds-eye view of the finished pumptrack. 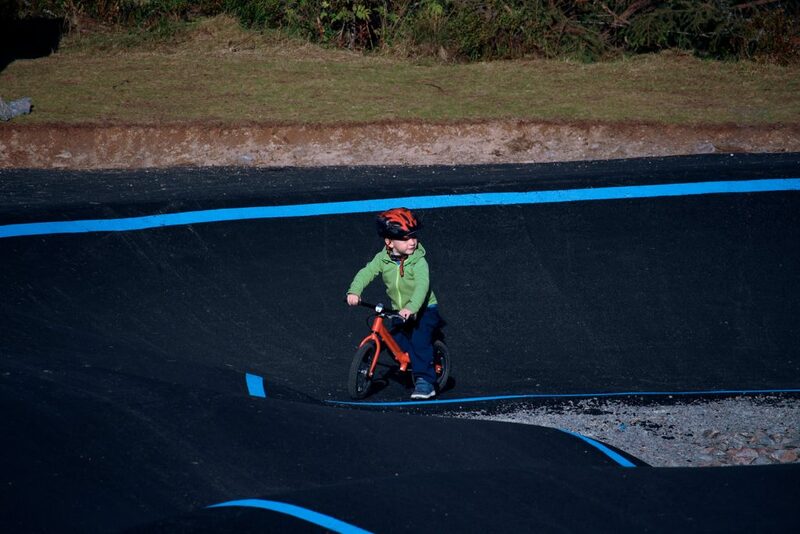 The pumptrack was designed so that even the youngest can have fun ! 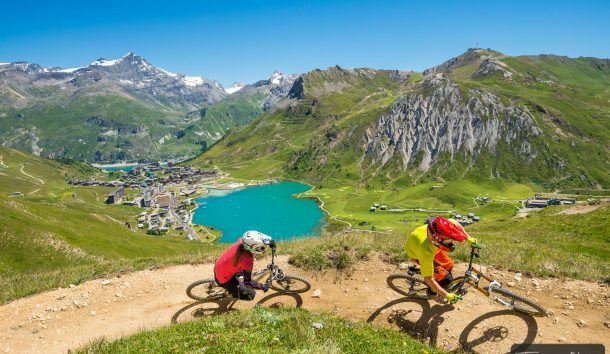 A fun pursuit between brother and sister ! A variety of users can be found at this unique, family-friendly bike arena. 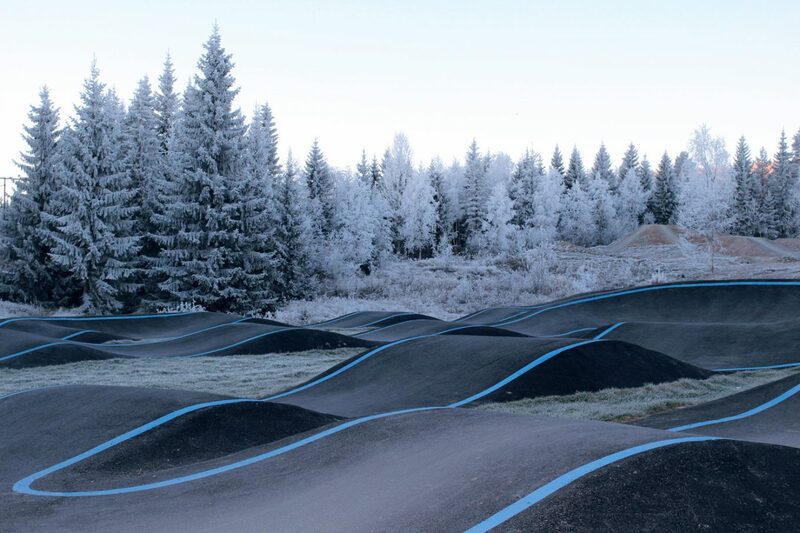 As you approach winter, the frost creates a magical atmosphere at the pumptrack! 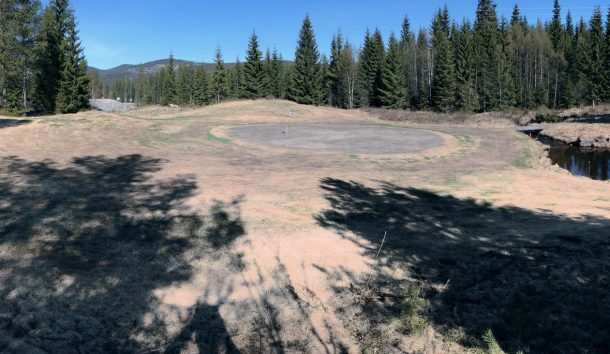 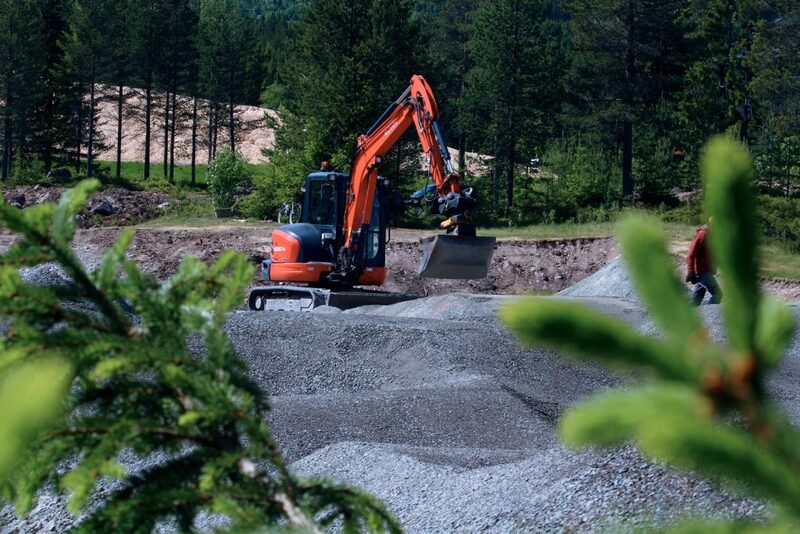 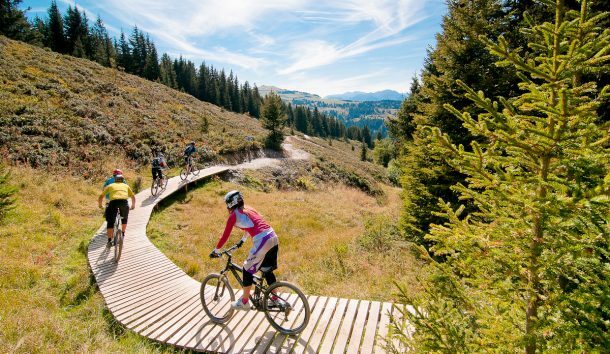 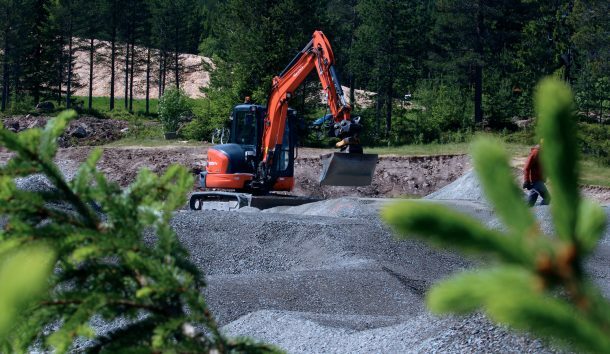 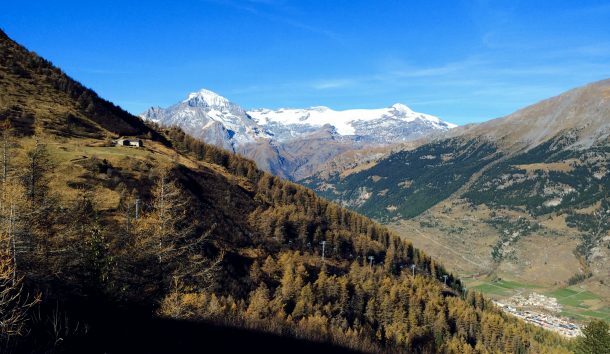 This has no fear of winter: the substructure and materials have been put in place specifically to make the pumptrack insensitive to freezing and thawing which is very frequent in the North and/or in the mountains. 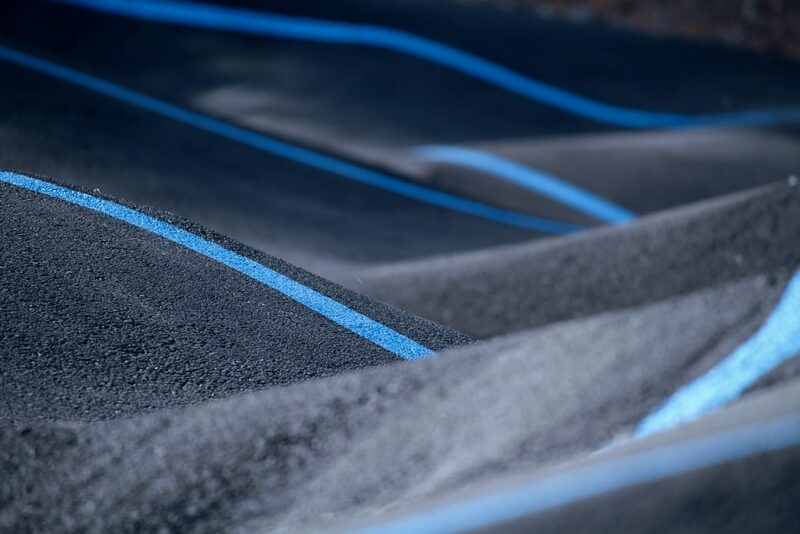 Just after laying the grass, rain helps it to establish itself on the specially prepared soil. 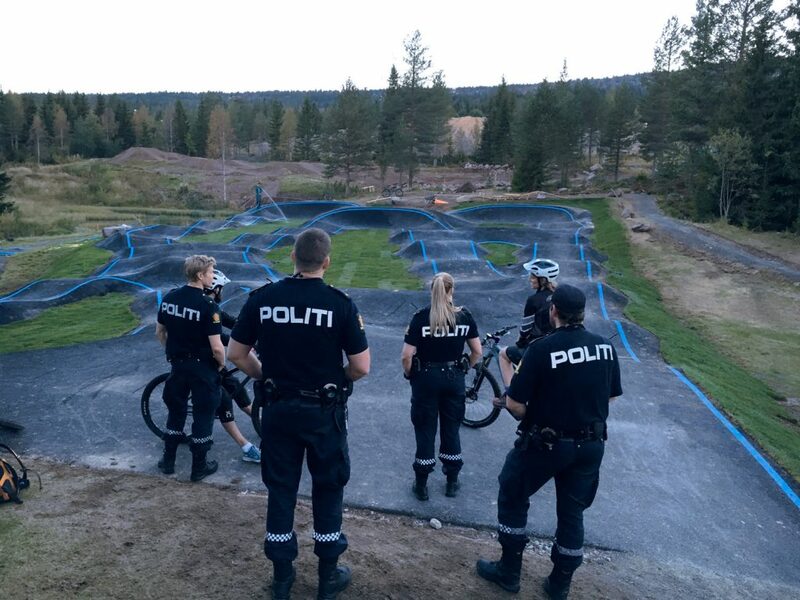 The Trysil police are among the first to test the completed work ! 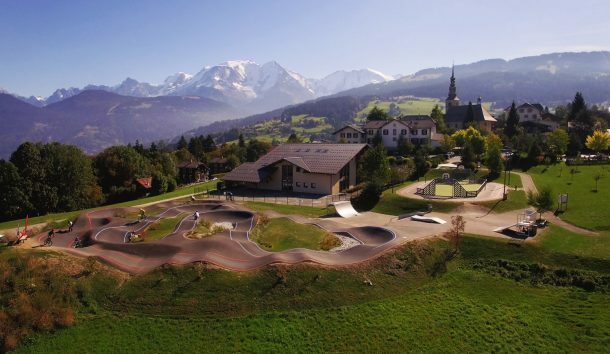 They’ve loved it !